Most everyone has experienced workplace stress at least once in their lives. According to a 2012 survey conducted by the American Psychological Association (APA), 65% of Americans cited work as their number one source of stress. Only 36% actually thought the workplace did enough to help employees alleviate the stress. 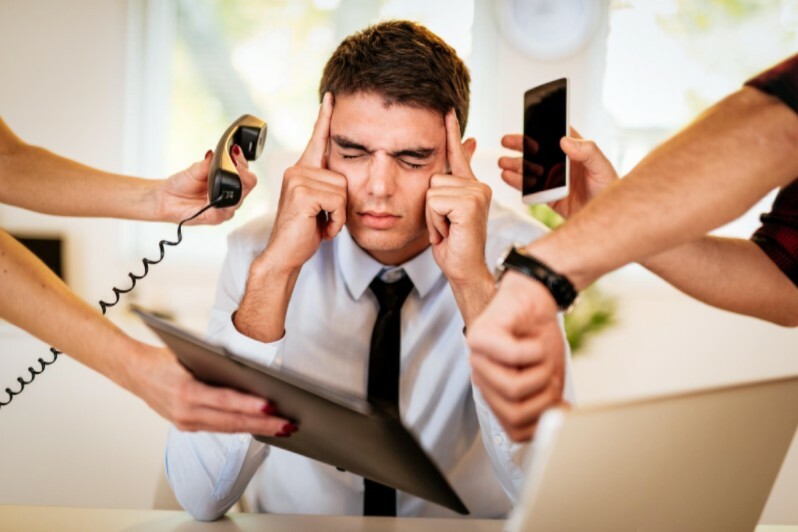 There are a variety of contributing factors that can lead to undue anxiety in the workplace, including low salary, excessive workload, lack of management support, difficult coworkers, no advancement, boredom, and a lack of a challenge. When someone experiences prolonged stress at work, they can suffer health issues such as insomnia, high blood pressure, depression, heart disease, obesity, and a weak immune system. Recharge. No matter how busy things are at work, don’t let vacation days slip by. Take the time to recharge your batteries by taking time off and doing something you enjoy. Relax. Whatever helps you to relax after a long day at work, you must do. This may include exercise, reading a novel, watching a movie, or just spending time with family and friends. Journal. Journaling is an effective way to track the specific things that are causing you stress. Over time, you might be able to see a pattern and learn how to control the situation better. Choose healthy responses. This includes eating foods that don’t make you feel sluggish, exercising, and getting plenty of sleep. Establish boundaries. Everyone needs a break from work. Try to establish boundaries such as not checking emails in the evenings or taking phone calls after a certain time. Talk to your supervisor. Be open and honest with your employer about the situation and how you’re feeling. Let he or she know that you want to do the best in your job and to be the best employee that you can be. Ask about ways to help you cope with stress. Some companies offer an employee assistance program (EAP) program where you can talk to professional counselors and therapists. Support. If you have friends or family members that you’re close to, consider talking with them about what’s going on with you and your work situation.